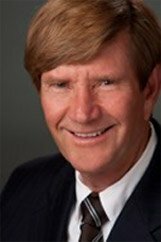 With over 30 years of experience as a Trust Lawyer, Estate Lawyer, Tax Lawyer and Real Estate Lawyer serving Orange County, Newport Beach, and surrounding communities, David Crockett, J.D., CPA, has helped countless clients with their Trusts, Probate, Wills, Estate Planning, Taxes, Asset Protection, and Real Estate issues that intersect and dovetail with trusts, estates and tax planning. 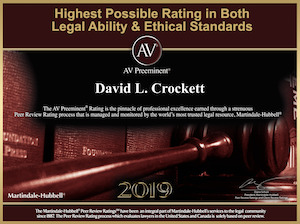 Mr. Crockett is rated as an “AV Preeminent” lawyer with the “highest possible rating in both legal ability and ethical standards” by the Martindale Hubble lawyer directory. He also has an Avvo rating of “Superb-10.0” in the field of trusts and estates. The ultimate goal is to minimize taxes and to avoid expensive estate litigation while making certain that your loved ones are taken care of in the event of your death or disability. 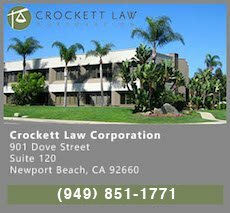 Orange County trust lawyer David Crockett works personally with all of his clients to advise them on their choices and to prepare the documents they need to help them achieve their goals. Tax consequences of all situations are always considered. Our services are focused on providing effective wealth management and protection methods while handling the complex tax issues involved, from how to save on taxes to avoiding mistakes caused by disregarding tax implications. We counsel clients on various legal ways to minimize or eliminate estate and income taxes such as life insurance trusts, family limited partnerships and various other techniques. All matters are reviewed from three points of view: Lawyer, CPA and Real Estate Broker. David L. Crockett’s experience and licenses allow him to provide sophisticated, practical and understandable advice and solutions. The typical estate or asset situation, usually involves a combination of legal, financial and tax questions as well as real estate marketing and operational questions. As a 3 in 1 expert, Mr. Crockett is in a unique position to provide practical and cost-effective advice in all these areas. He is familiar with and has access to most all commonly used forms for real estate deals, wills, trusts and estates. Down to earth explanations of the tax and financial aspects of any deal or estate are routine. Mr. Crockett is also a commercial real property owner and a licensed California Real Estate Broker (DRE 01909116). His personal real estate property holdings include hotels and apartments. As a result, David has firsthand knowledge and experience dealing with property owners’ issues including, daily operations, landlord-tenant matters, property management, property accounting and real estate taxes, cash flow and lending. He actively brokers homes and commercial properties. We work aggressively to solve legal problems and create documentation and plans that function in the real world. Since we also do administration and litigation of probates, trusts, wills, estate planning and real estate situations we have a broad perspective. Documents and plans for wills, trusts, LLC’s, Limited partnerships and corporations that are not properly prepared can lead to disputes, tax problems, misunderstandings and expensive litigation. 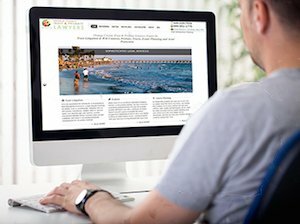 We have developed many unique checklists and written explanations to guide most clients in dealing with wills, trusts, probates, estate planning and trust administration. Mr. Crockett’s depth of knowledge and experience has been of enormous help to our family over the years in a wide range of areas. For our real estate business investment David advised us on asset protection and established our corporation.